Leonid Pereverzev, the doyen of Russian jazz critique and jazz musicology, passed away in Moscow, Russia, on March 18, 2006, of a stroke. He was 75. Pereverzev was the earliest Russian music writer to analyze jazz as a whole, in its both musical and social aspects, and to spread the word through the Soviet Union, the word that jazz was not "The Music of Fat People," as an early Soviet writer pejoratively described it back in the 1920s; jazz was a new branch of the global music culture, a branch that deserved a close study, a wide popularization, and not a fear of being infected by alien capitalist propaganda, but an appreciation of new and fresh music culture. Pereverzev could not publish too many articles on jazz in the late 1950s and early 1960s, when he started his jazz advocate activities, but he was able to hold lectures and public speeches on jazz. And he was really successful in that - so successful that a Young Communist League-controlled monthly magazine, Smena (The Shift,) even denounced him as the "ideology god of Moscow jazzomaniacs," who "translated the delirium of [Voice of America jazz host] Willis Conover." Pereverzev's public lectures on jazz at the Moscow House of Scientists and the Moscow House of Friendship With Peoples Abroad, accompanied by slide projection and taped jazz playback, were the first steps into lifelong appreciation of jazz for thousands of Muscovites. He continued those lectures from 1958 and well into the 1960s. Later in the 1970s, he continued his lectures, at that time via the Knowledge Society, a strange reservation of evening education in the fields not totally covered by the Communist Party-controlled educational system that existed during the 1970s and 80s. His jazz writing had started in 1962, when he wrote a story on Benny Goodman and the famed bandleader's forthcoming visit to the Soviet Union for Moscow-based Music Life magazine. It was Music Life that published most of his early work, and when Pereverzev's first book about the history of jazz was rejected by government-owned publishers in the mid-1960s, it was only through Music Life he could see his book printed, although only as a series of continuing articles in the magazine. When the Soviet authorities allowed the first school to teach jazz in Moscow in 1967(Moskvorechye Music Education Studio, now Moscow College of Improvised Music,) it was Leonid Pereverzev who taught the first several semesters of Jazz History course. He was working in different fields; jazz (and music in general) never was his sole passion, but the strongest. 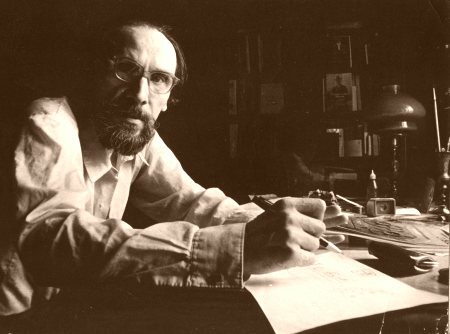 Pereverzev worked on the theories of design at the Technical Aesthetics Research Institute and then - on the theories of education at the New Technologies in Education Research Institute in Moscow, where he served as the head of Design Philosophy Research Laboratory until his very passing. Pereverzev's music writing went on, regardless of how deep he dived into other pools; he wrote a large annex, "From Jazz To Rock," for the 3rd edition of the late musicologist Valentina Konen's 1961 book "The Ways Of American Music" (Moscow, 1977,) and a popular book "The Way Into Music," published by the Knowledge Society in 1981. His speeches at several jazz musicology seminars in the 1970s and 1980s turned into brilliant musicology and culture studies articles, which were not published until Internet era. Since 1999, his massive works on Duke Ellington ("The Offering To Duke",) jazz musicology ("Provocative Jazzology" and "Jazz Is The Problem",) jazz in European literatures ("Mozart And Foxtrot") and on many other subjects can be found on www.jazz.ru/books/pereverzev/. It was his work as a liner notes author which gained the widest recognition in the former Soviet Union. His knowledgeable and brilliantly written liner notes for dozens of jazz LPs licensed from American and European labels were the initial source of jazz education for thousands across the nation, this reporter included. I still have those licensed LPs with Duke Ellington's Sacred Concertos with Leonid Pereverzev's liner notes at home. And I am proud that in his late years, Mr. Pereverzev was both a frequent author and an active reader of the Jazz Web zine that I run on www.jazz.ru. Thank you, Teacher. And good-bye.